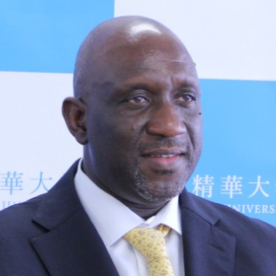 The Malian Professor Oussouby Sacko is the first African to become a president of a Japanese University. He was nominated in October 2017 to head the Kyoto Seika University, which has about 4 400 students. Sacko started studying architecture in China and then moved to Kyoto to study in a master’s programme. He says that architecture is not just about aesthetics; it also helps us understand how a society is organised and how it works internally. Sacko has lived in Japan for nearly three decades and became a Japanese citizen in 2002. He intends to develop partnerships with African universities and to set-up an Africa department on contemporary spaces in order to increase Japanese people interest in the African continent.